Bestel Diary of an Awesome Friendly Kid voordelig bij de grootste kinderboekwinkel van Nederland. Levertijd 1 dag. A BRAND-NEW story set in THE DIARY OF A WIMPY KID world! ______ The world has been hearing about Greg Heffley's middle-school years for thirteen Diary of a Wimpy Kid books... and counting. But now it's time for readers to hear from his best friend, Rowley Jefferson, in a journal of his own! Rowley has written his own story of life in middle-school- but he's also agreed to play the role of biographer for Greg along the way. (After all, one day Greg will be rich and famous, and everyone will need to know his life's story.) But, it will soon become clear that Rowley is a poor choice for the job, and Greg's biography is less a future masterpiece, and more a hilarious mess. Diary of an Awesome Friendly Kid: Rowley Jefferson's Journal offers readers a new way to look at the Wimpy Kid world - one fans won't want to miss! 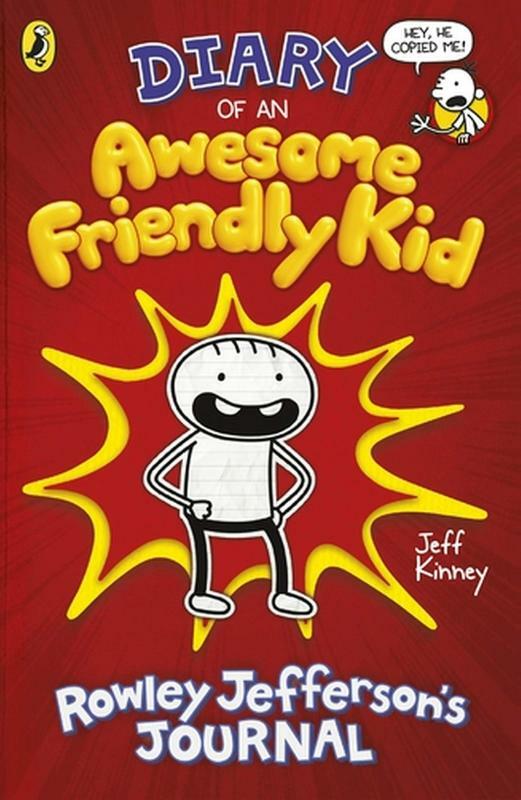 The opening of Diary of an Awesome Friendly Kid will originally be published as a World Book Day 2019 title - Diary of Greg Heffley's Best Friend.